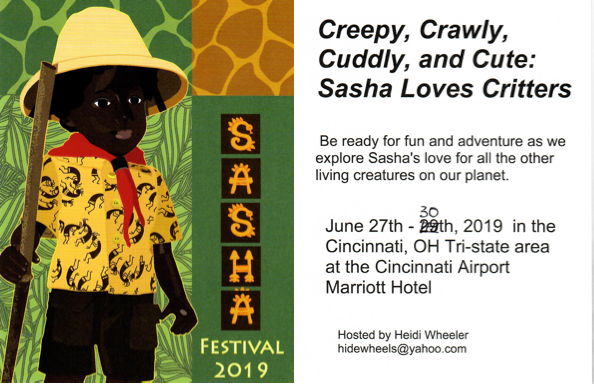 Registration for the 2019 Sasha Festival is now open. You are invited to the 2019 Sasha Festival. We have a wonderful fun filled festival ready for you. This year’s festival is being hosted by Heidi Wheeler with some amazing long-distance help. Here is the information you need to complete your registration. • Full registration ($230 each) – Limited to 110. This includes all meals, souvenirs, workshops, and activities. Full registrations received after the 110 are filled will be put on a waiting list. • Meals only registration ($120 each) – Limited to 15 and only includes festival meals (Meet and Greet refreshments Thursday, dinner Friday, dinner Saturday, and brunch on Sunday). Registrations must be received by May 19, 2019. Cancellation requests must be received by June 1, 2019. No refunds will be given after this date.